The tiny seeds of Broccoli sprouts are cold pressed in order to extract oil. The oil is usually pale greenish to yellow in color. This oil contains 50 percent of eurcic acid which is considered to be monounsaturated omega-9 fatty acids. 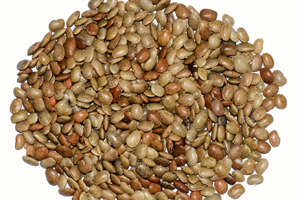 It has approximately 80 to 85% of polyunsaturated fatty acids that include oleic acid, erucic acid and linoleic acids. It has great absorption properties which provides natural glow to the skin and lustre on hair. It is used as an emollient in personal care and cosmetics. It prevents the skin from damage, pollution and aging and also neutralizes free radicals from the body. Due to its antioxidant property, this oil becomes stable with an increasing shelf life. Vitamin C assists in collagen production. Broccoli seed oil has unique essential fatty acids that are used in hair care products and it provides sheen to the hair. The fatty acids provide greaseless hydration by forming a protective layer that helps to trap moisture and hydrates skin. The oil of Broccoli seed helps to prevent skin environmental stressors. Broccoli seed oil has essential fatty acids that helps to hydrate the skin and deeply moisturizes the skin. It does not clog the pores like other petroleum based ingredients and mineral oil. 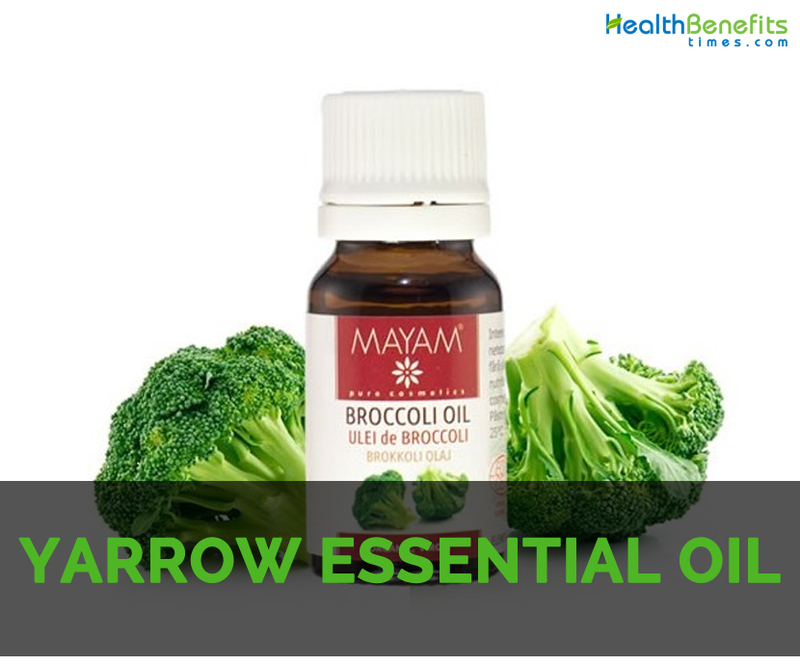 Broccoli seed oil is rich in other nutrients and Vitamin C that helps to nourish the hair and skin by providing radiant sheen that provides a glowing and youthful skin. Broccoli seed oil has Vitamin A that acts as a natural exfoliator. Broccoli seed oil has essential fatty acid named arachidonic acid that helps to tame and ease skin. Apply two drops of Broccoli seed oil to repair dry skin. It also helps to calm down irritation and skin inflammation. Put several drops of Broccoli oil to the neck and face to remove wrinkles and dryness of neck or face. It could be used as an overnight skin care treatment. Massage the area of razor bumps or burns with this oil. Rub the cuticle or nail bed. It is a cure for acne scars and sun damage. It prevents heart ailments as well as growth of cancer cells. It lowers the inflammatory skin conditions such as rosacea, dermatitis and psoriasis. A few drops could be added to the sunscreen or daily moisturizer. It is better to perform a patch test before use. Do not use if unwanted response is experienced. The people allergic to broccoli should not use this oil. It should be kept in a cool and dark place away from light and heat. Do not use it on eyes. The pregnant women should consult the doctor for use. It is also used in balms, shampoos, conditioners, lip care products, styling products, massage products, lotions and creams. Broccoli has high content of fatty acids and is suitable for all types of skin. It is used as a hair care, skin care and lip balms. It moisturizes skin without being pores clogged. The mixture of broccoli seed oil and shea helps to lower the chances of greasiness. It is added to conditioners and shampoos that help to clean as well as strengthen the hair. It is rich in antioxidant and high in Vitamin C that prevents the skin from aging, damage as well as neutralizes free radicals. The presence of Vitamin C supports the collagen production.